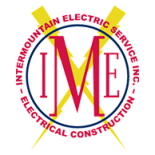 The #1 Electrical Contractors | Intermountain Electric Service Inc.
For over 40 years, Intermountain Electric has been an industry leader for electrical contracting in Wyoming and the surrounding areas — we’re here to figure out your needs, design tailored electrical solutions, and turn those plans into a reality. Learn more about our electrical construction solutions, and schedule a free consultation today. Before we design any sort of industrial electrical system, we’ll do a full evaluation of your needs, as well as your present and future goals. The best systems can scale up and down along with your industrial project. Our contractos will use your needs to create a custom electrical solution, and we’ll use everything from advanced data to high-tech instruments to find the perfectly calibrated solutions that ensure your industrial project is powerful and reliable. Our electrical construction experts will construct and calibrate the right devices and infrastructure for your facility, and keep you in the loop every step of the way. If anything goes wrong down the road, we’ll help you maintain and repair your facility to limit interruptions and overall frustration.